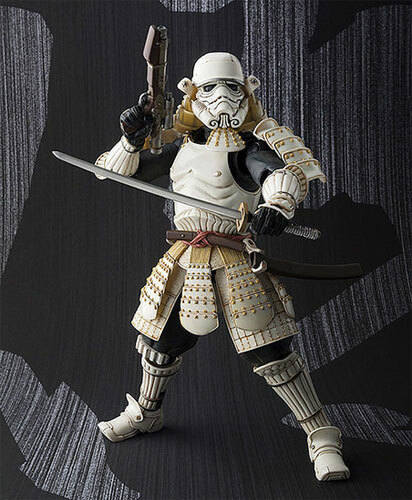 Not too long ago, in the galaxy here, Bandai release a Movie realization version of Samurai Shogan Darth Vader and following that success, they are releasing the Samurai Storm troopers!! Instead of giving them a pure white dress code, they did a good thing to give a Ivory color that make it more authentic. 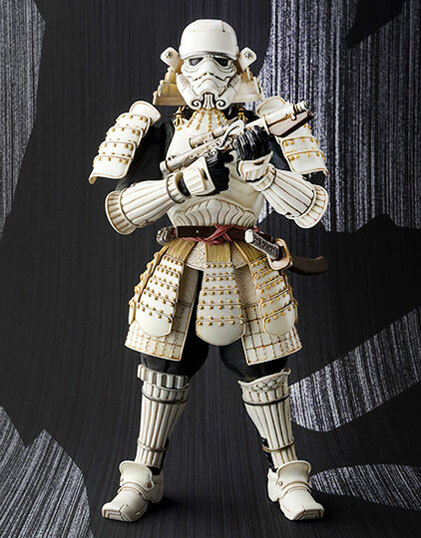 As it was in the age of Samurai, even the blaster look more to that era of steampunk with wood handle and metal barrel. 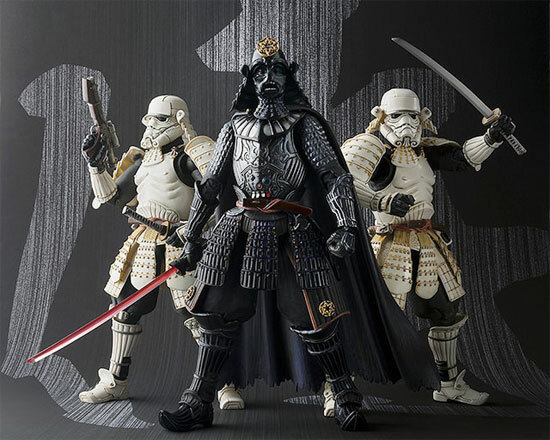 With Darth vader and 2 of the Stormtroppers on the side, they really look awesome! 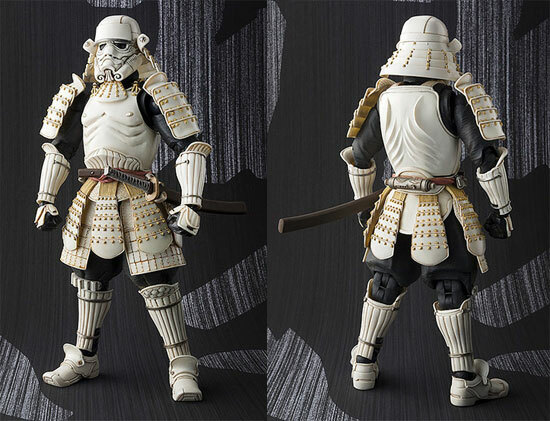 Each of these Storm trooper will be releasing in May 2015 at 7,800Yen. 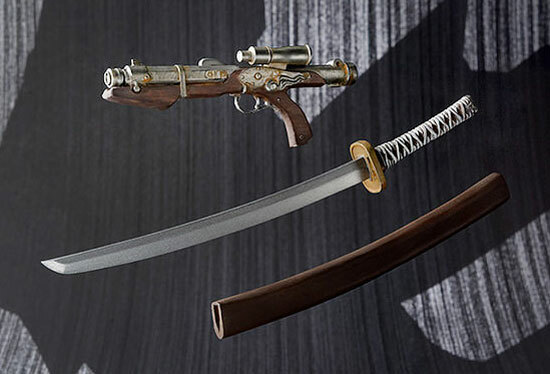 If you want them, better save up!